Shooting Touch Boston Coach and Player Featured in Boston Globe: January, 19, 2019: Christina Pham is learning about the game of life from her uncle through basketball. John Hopkins Bloomberg School of Public Health: November, 12 2018: In partnership with Nyamirama Health Center, Shooting Touch was selected for a site visit as the top 4 of 504 health centers in Rwanda for the International Conference for Family Planning 2018 in Rwanda. Shooting Touch Presents as Featured Speakers at the International Olympic Committe’s Olympism In Action Forum in Buenos Aires: October 5, 2018: Lindsey and Chloe share the organization’s story and impact in front of 2,000 #IOC delegates, athletes, leaders of countries and global leaders in the sport-for-development world. ESPN Around the Horn: September 22, 2018: Watch as ESPN commentators go around the horn Shooting Touch style. Shooting Touch WINS 2018 Beyond Sport Global Health and Well Being Award in NYC: September 12, 2018: Over 400 entries from organizations around the world, 35 nominations, 10 categories, 10 winners. We are so proud! Olympic.org : August 29, 2018: Executive Director, Lindsey Kittredge describes the power of sport for girls and women. Shooting Touch Nominated for Beyond Sport Global Award: July 23, 2018: Shooting Touch was a final Nominee for the Beyond Sports Global Health and Wellbeing Award. Power of Good Podcast: February, 2018: Executive Director Lindsey Kittredge explains Shooting Touch's evolution and impacts. Boston Globe ; July 17, 2017: Bob Hurley holds court at Roxbury Latin School. Bob Hurley ESPY Award ; July 13, 2017: Coach Bob Hurley has won a ESPY for Best Coach. NESN.com ; Jun 30, 2017: Boston Police Department Connects With Community At Girls Basketball Clinic. WBZ News ; Jun 29, 2017: Using basketball to empower and educate girls in inner-city Boston. 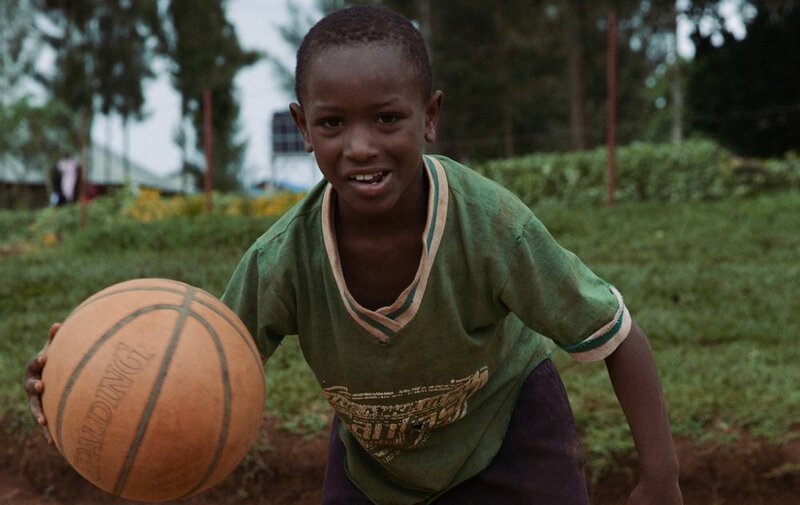 ESPN.com : May 8, 2017: Using basketball to break the cycle of poverty and disease in Rwanda. February 13, 2017 : Sport & Active Society Grant winner uses award to raise awareness of gender-based violence. International Olympic Committee : October 17, 2016: Shooting Touch awarded 2016 Sport and Active Society Grant from IOC. One of four global organizations chosen. Boston Magazine : September 30, 2016 : Program empowers through basketball, at home and abroad. The Boston Globe : August 18, 2016 : Girls got game as they team up with police officers for hoop, life skills.